The TopZero Oxford Sink is ideal for any kitchen with a stone countertop. 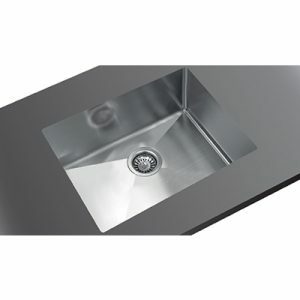 Made with high-quality, 304 stainless steel, this sink was designed for long-lasting durability. This farmhouse sink was made specifically for use with stone countertops. With this sink, you can say goodbye to scum, grime and other disgusting build-ups on your sink! Do you dream of a stone countertop in your kitchen in Barbados? If so, there’s no better option for your kitchen than this sink by TopZero. TopZero sinks are designed to be rimless, which means that you can say goodbye to the buildup of grime and scum around the rim. The rimless design also makes this farmhouse sink perfect for kitchens with stone countertops, so whether your countertop is granite, quartz, marble or any other stone, you can rest assured that this kitchen sink is a tremendous option for you.